Wow. There really just aren’t words to describe what we just witnessed. An incomprehensible object shimmered in the sky. For over two minutes, our consciousness departed Earth as we all stared at an otherworldly body suspended in the immensity of space. Some people cried, some screamed, and it was the most amazing thing I’ve ever witnessed. 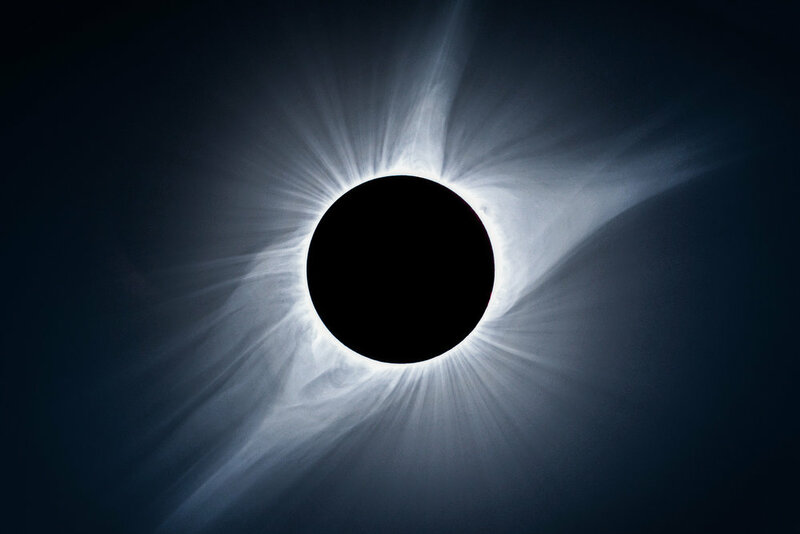 The light became eerie, shadows extremely defined, the air temperature fell, and then this giant black eye surrounded by a wispy corona appeared looking down from the sky. I'd read that witnessing a total eclipse can be life changing. I'd have to 100% agree.